A man sought by police following a serious assault in May has been arrested on suspicion of murder. James Stovold, 35, was wanted by police following the incident on May 4 where a man was attacked with an axe on Lancaster Road, Morecambe. Stovold was arrested on Thursday evening suspicion of attempted murder and is currently in custody. 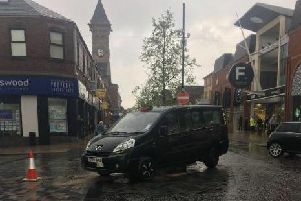 Police were called at around 9.30pm on May 4 to reports a man had been seriously assaulted with what was believed to be an axe. The victim sustained injuries to his head and body and was taken to hospital. He has since been discharged.